“Energy company Eneco provides NS the energy to transport 600.000 people per day. 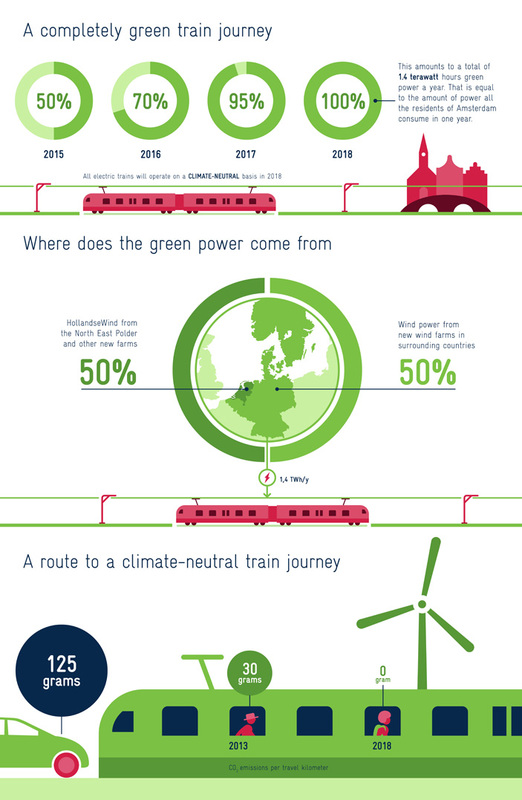 That’s 1.200.000 train trips per day without any CO2 emissions. NS has also committed to lowering their energy consumption by 2% per year. Onshore wind is the cheapest form of new power generation in Europe today: the wind in Europe accounts for €67bn+ annual turnover and 255,000 jobs. Offshore wind is rapidly reducing costs and will play a central role in Europe’s power mix going forward, according to Wind Europe.